Association Survey — The Club Management Survey is a yearly compilation of statistics that illustrates the range of services, activities, staffing and expenditures at participating Member Clubs. Survey results are provided ONLY to participating clubs. Computer Assistance Program — Member Clubs that fully support the GAP/USGA Handicap System and select the paperless option are eligible for the Computer Assistance Program (CAP). The CAP provides new computer hardware to all participating Member Clubs and the latest GHIN Management Program and USGA Tournament Management software. Course Ratings — The Golf Association of Philadelphia rates every member course on a seven-year rotation, evaluating the overall difficulty of the golf course for both a scratch golfer and a bogey golfer, with the Course Rating established for the scratch golfer and the Bogey Rating established for the bogey player. Ratings are included in the member dues: a $900 value. Ratings compiled by these teams are reviewed by the Course Rating Review Committee to make sure that criteria are being consistently applied. This allows any player with a valid GAP/USGA Handicap Index to fairly compete against any other player with a GAP/USGA Handicap Index. Ratings are available for each course under Slope & Course Ratings. The GAP App — The GAP App is the Golf Association of Philadelphia’s Mobile Application. It is available on both Apple and Android platforms. GAP/USGA Handicaps — The Golf Association of Philadelphia has provided handicaps to its Member Clubs through the GHIN System (Golf Handicap and Information Network) since 1964, a nationwide handicap service provided by the USGA. A player can go to any participating club to check a handicap and post his score. Players may also obtain GAP/USGA Handicap Index information from the Golf Association of Philadelphia’s website. Clubs and members can gain access through their handicap computer to the National Course Rating and Slope database retrieval system. Online score posting — Individuals can maintain their handicap online from anywhere in the world through My GAP Locker or The GAP App, the Association’s free mobile application. A Member Club must sign up to use this service. National Representation — The GAP provides seminars and communications to its Member Clubs from national organizations such as the USGA, National Golf Foundation, Golf Course Superintendents Association and the National Club Association. Preserves, Protects the Game — The GAP serves as the local voice of the USGA as it focuses its efforts on the preservation of the values of the only game that is still played the same way it was more than a century ago. One way in which the GAP safeguards the game’s integrity is by monitoring rules on amateur status and by processing Amateur Reinstatement Applications of those who wish to regain their amateur status. The Association exists to help its members enjoy the greatest game of all. Each participant in a GAP event, each club member who has a GHIN handicap and each Member Club helps provide the support that sustains the Association. 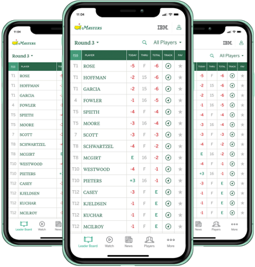 USGA Tournament Management Software — Introduced as a member benefit in 2017, the Golf Association of Philadelphia offers USGA Tournament Management, Powered by Golf Genius. It is a Web-based, event management system that aims to enhance the golfer experience by helping professionals better manage competitions such as leagues, charitable outings, member-guests and tournaments. It will also serve as the scoring and event management platform for all GAP events moving forward. The USGA Tournament Management suite became the exclusive provider in 2018. The Tournament Pairing Program (TPP) is no longer supported. FAQs regarding the USGA/Golf Genius collaboration and how it affects GAP can be accessed on the Association’s website.